Swimming is a perfect sport for all ages. Now that the weather is not the best anymore, you can still enjoy it thanks to the indoor facilities. 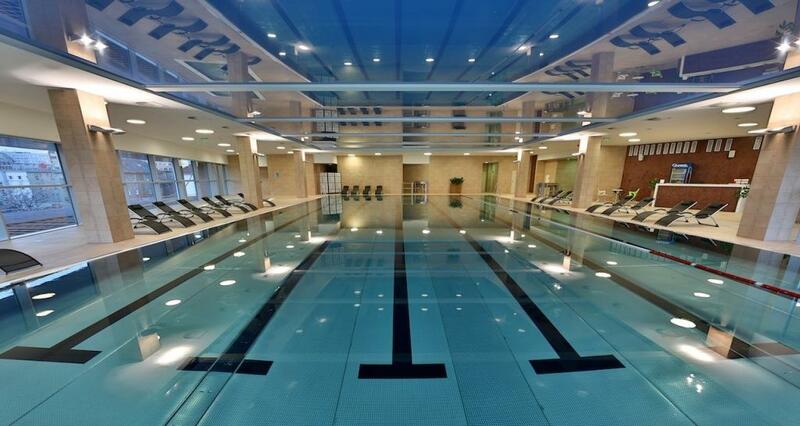 For those who love to swim, read our overview of the indoor swimming pools in Bratislava. 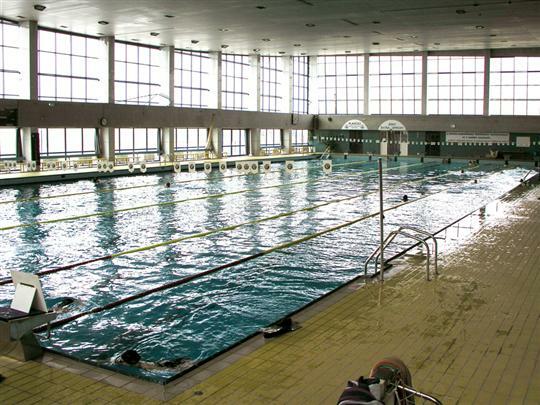 This is the only place in Bratislava with a 50 m long swimming pool (other places have 25 m max) with the depth of 1,25 – 3,5 m. Thus it is very popular and unfortunately quite packed, especially during the evening hours. Moreover, it has some of its tracks booked for the swimming courses which makes it even more crowded for the public. 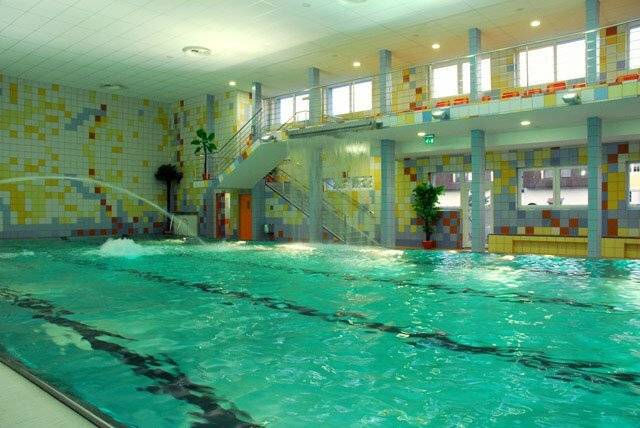 There is another 25 m long swimming pool with the depth of 1 – 1,2 m. Another plus is its late opening hours. The fitness center Golem, situated next to the foodcourt in the Central shopping center, has one 25 m long swimming pool with 1,3 m depth and one kids’ pool for children under 12 years with length of 5 m and 0,3 m depth. You can also use a terrace jacuzzi. There is no one time entry – you have to buy a membership card and charge it with the credit. Be careful to use the credit within 3 months, otherwise all the unspent money will be forfeited. One of the swimming pools here is intended for swimming (25×10 m) and the second one has various wellness facilities such as massage jets, water park mushroom and 3 jacuzzi to fit 16 people. Many people consider this place to be one of the best options as less people know about it, however we think it tends to get crowded lately. 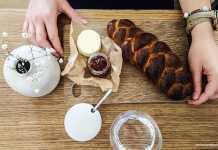 Don’t expect any pompous luxury though – the premises have that socialism touch. 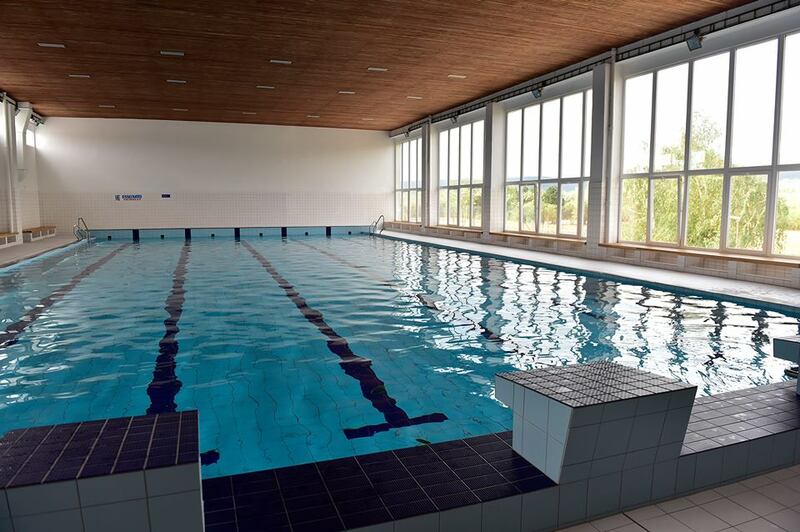 Thanks to a recent reconstruction, the modern premises offer a 25 m long swimming pool with 5 tracks, a relaxation pool, a kids pool, a jacuzzi, saunas and a water slide. There is a discounted price for morning and late evening entries. This facility belongs to a Community Rehabilitation Center and has two 25 m long pools with 6 and 3 tracks and a small relaxation pool. All of them are open for public but please note that children younger than 3 years are not allowed in the pools. 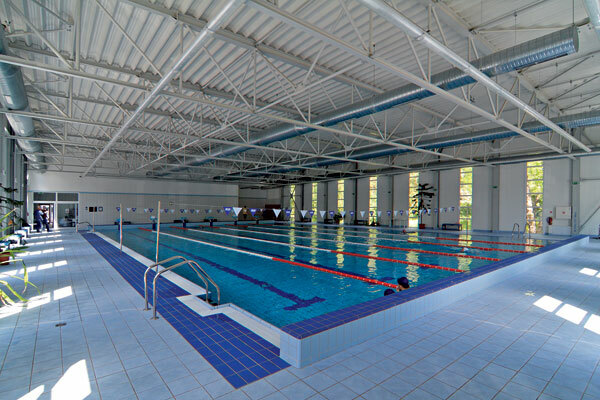 Slovak Youth Institute Iuventa has a 25 m long swimming pool with a depth of 1,5 – 4 m and capacity of 50 people. 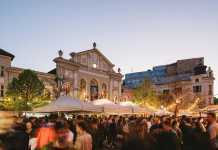 It is popular with students thanks to a favourable price. It is located outside of the city center though but has a spacey parking lot, so you can come by car here. Recently reconstructed swimming pool offers 5 tracks. It has been used mostly by students and sport clubs and was reopened for public only in October 2017. 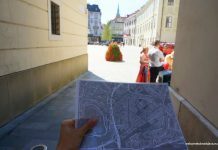 It is located within the premises of the Vocational School of Hotel Services and Commerce in Raca – quite far from the city center. X-Bionic Sphere is a multifunctional area dedicated for sports and wellness located in Šamorín, approximately 30 minutes from Bratislava by car. It offers professional conditions for execution of the 27 various olympic sports. 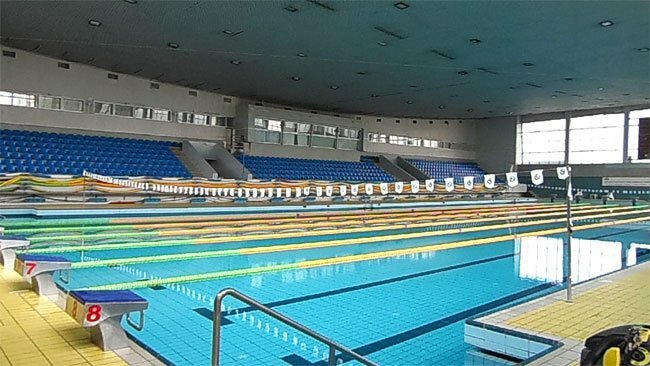 Apart from the 50 m long outdoor swimming pool functional during the summer, there is a 25 m long indoor pool with a tribune for 300 visitors. The X-Bionic aquatic sphere meets the highest expectations of the professional athletes and clubs and serves as a relaxation and entertainment spot for the ordinary visitors at the same time. You can also find a recreational swimming pool here, with a variety of water attractions such as geysers, massage jets or “wild water”. There is an outdoor and an indoor baby pool,and 2 indoor and 2 outdoor water slides. 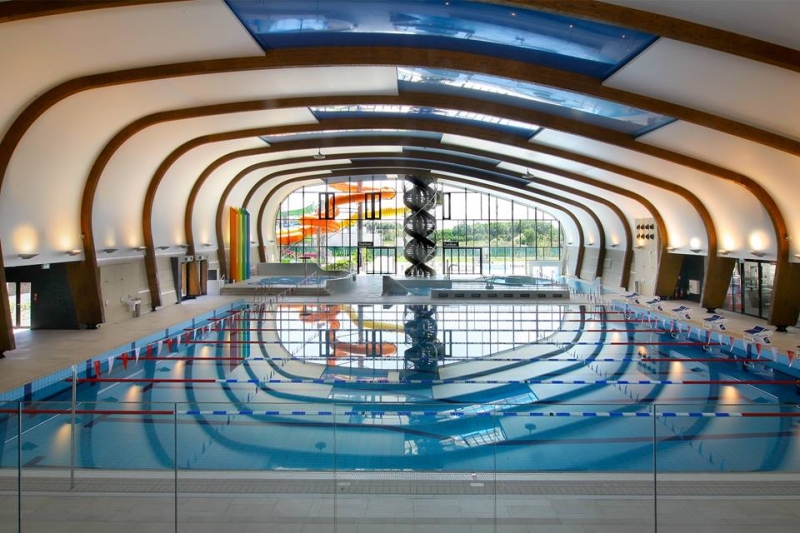 This indoor swimming pool in Malacky is 25 m long, 1,5 – 1,7 m deep and has 6 tracks. There is also a smaller pool for non-swimmers which is 100 cm deep. The pool is intended mostly for public and recreational swimming but it is also used by sports clubs and synchronized swimming. 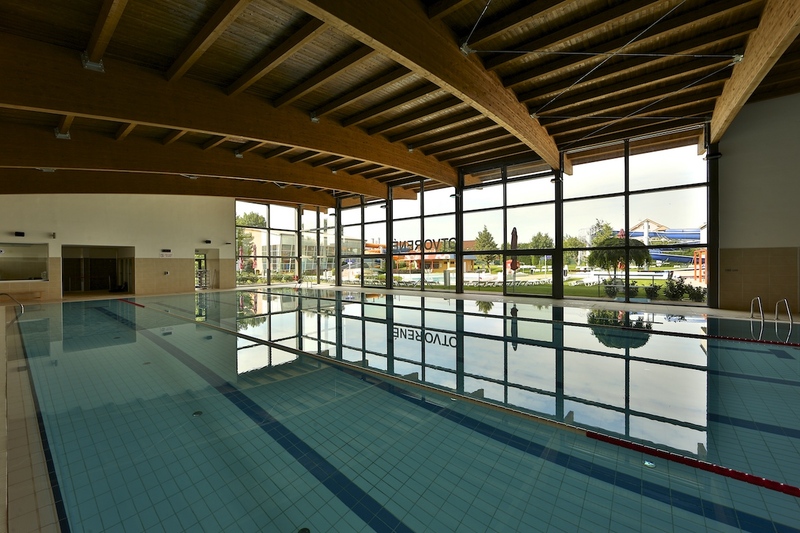 Swim Arena within Aquapark Senec is located approximately 30 minutes from Bratislava by car. You have to enter it through the Aquapark’s reception. 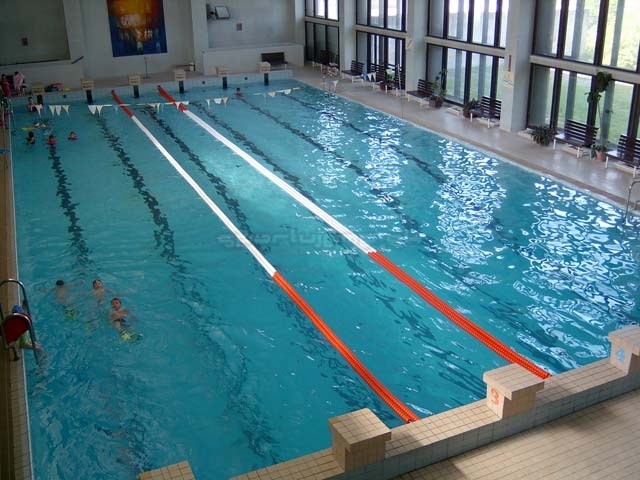 There is an indoor swimming pool 25 m long and 1,2 – 1,8 m deep, with 5 tracks. There is a single entry for the swimmers for 75 minutes. 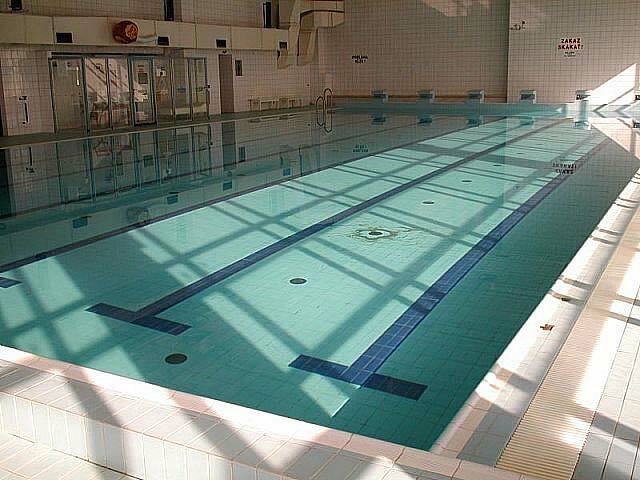 Suitable for intensive swimming but also for schools and kindergartens.